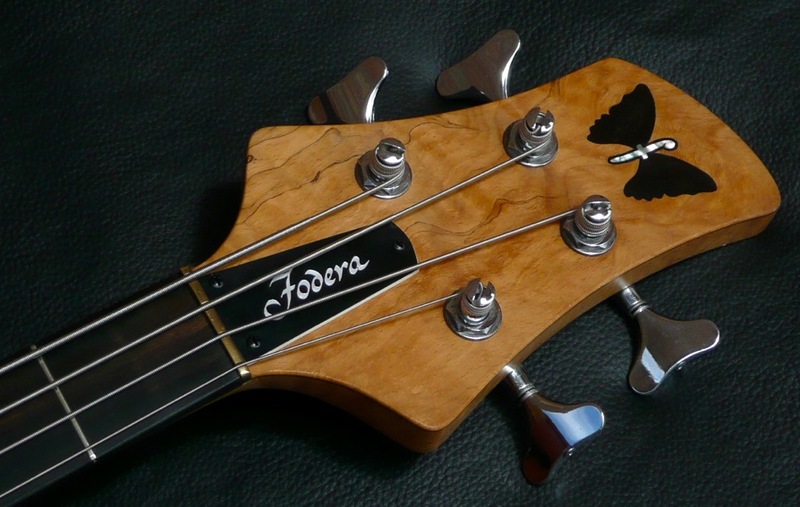 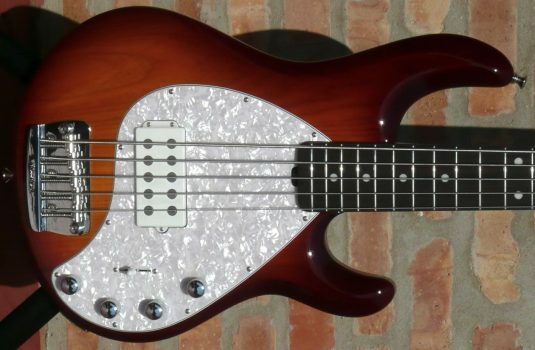 Here we have a gem from the early days of Fodera , SN 204. 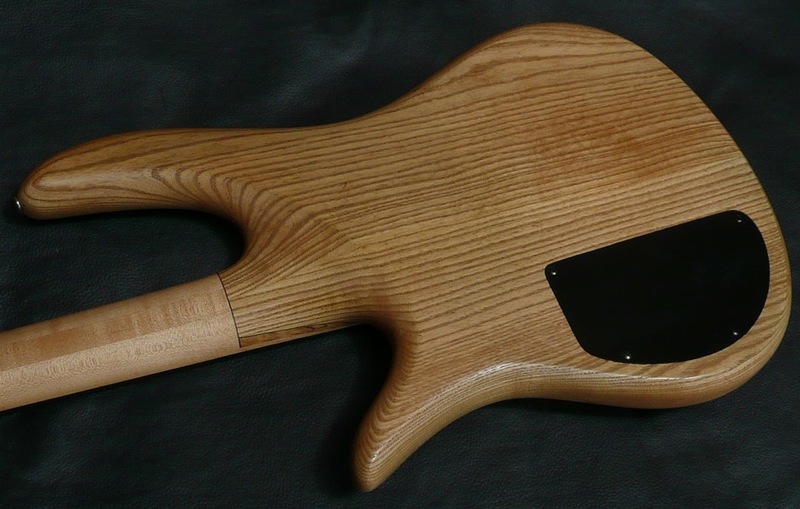 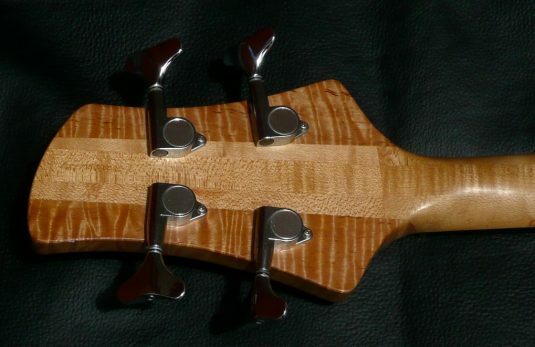 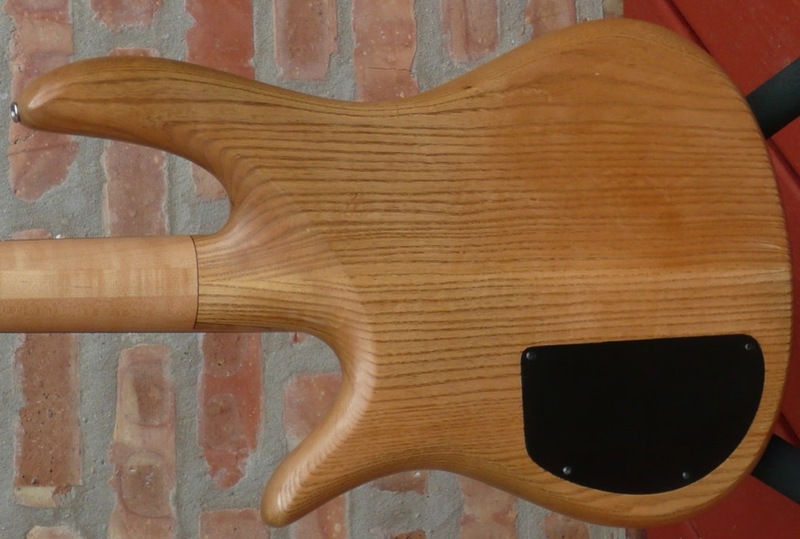 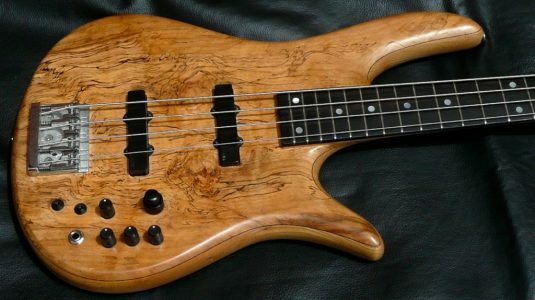 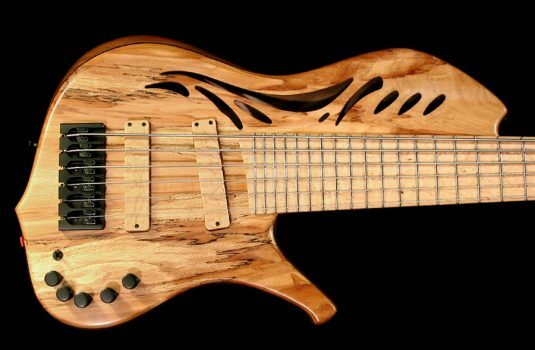 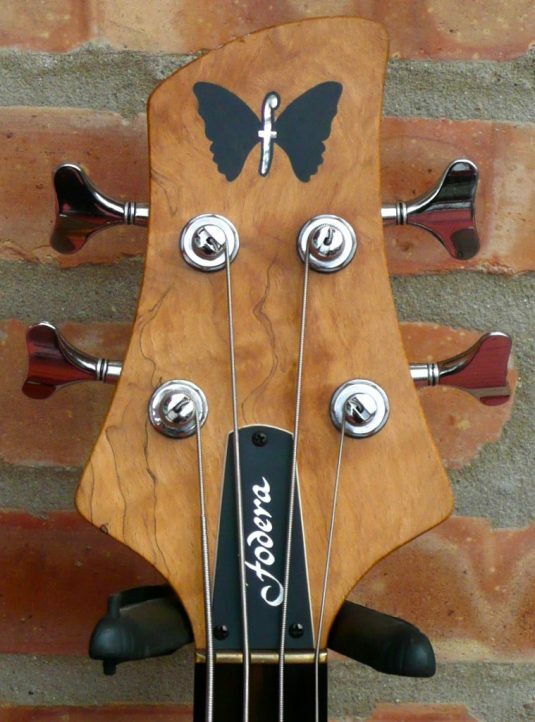 This bass is in exceptionally fine shape. 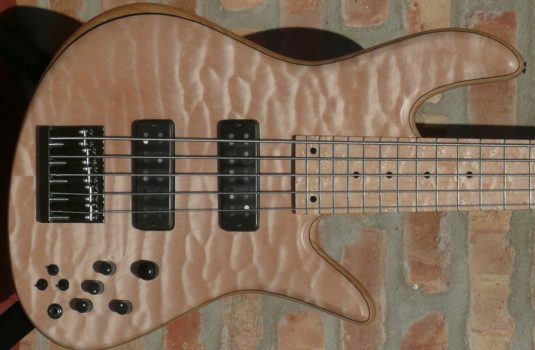 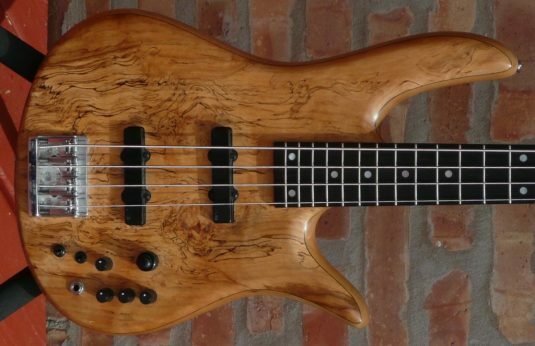 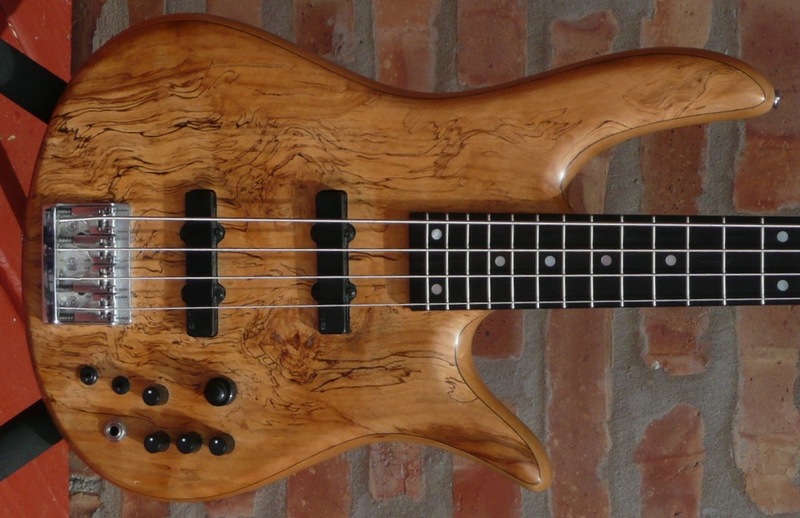 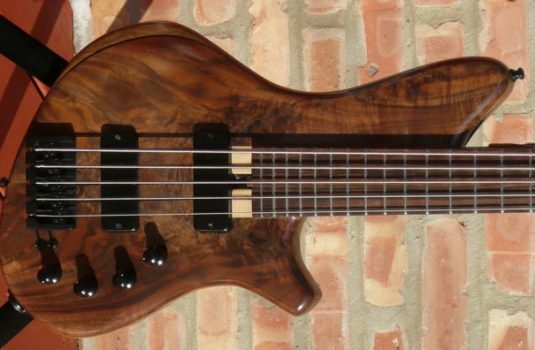 About 2 years ago this baby went home to Fodera for new “vintage” size frets and the newest Mike Pope Fodera preamp. The pickups are the original EMGs from 1985.